December 31, 2016, will have one extra second on its final minute. This event is due to the difference between the accurate atomic clocks that measure our time and the actual time resulting from Earth’s rotation since its speed slows down every year. It is not the first time a leap second, as it is called occurs. It is usually added on June or December if it is necessary. The last time a leap second had to be added took place in June 2015. Generally, they don’t take place two years in a row, but it is possible. “This extra second, or leap second, makes it possible to align astronomical time, which is irregular and determined by Earth’s rotation, with UTC which is extremely stable and has been determined by atomic clocks since 1967,” the Paris Observatory said in a statement. The year of 2017 will arrive one second too late since 2016 will be a “leap second” year. A leap second is not a common thing to happen. It is a one-second adjustment made to the Coordinated Universal Time (UTC) to keep up its accuracy regarding the solar time (UT1). If it is not made then every year, the atomic time would drift away from the time estimated due to the Earth’s rotation. The speed of the Earth rotation slows down and because of this difference, the extra second needs to be sometimes added. The actual duration of one solar day is just a little bit longer than 24 hours or 86400 seconds according to the international system (SI), which has been used for almost five decades. The UTC standard is watched and computed by the International Bureau of Weights and Measures in Paris, France. It is used for international timekeeping. Most of the world use it too as the reference for civil time. UTC defines what a second is, and it defines a grouping of seconds into minutes, hours, days, months, years, and so on. When a leap second is added, it is displayed on UTC clocks as 23:59:60. On watches that show local time, the leap second could be added hours later. The primary purpose of leap seconds is to compensate for this drift by scheduling some UTC days with 86401 seconds. These extra seconds are added at the midnight of June 30 or on December 31 of any year. The climatic and geological events are essential to know when the leap seconds need to be added since these conditions are linked to the Earth’s rotation. As well, the moon’s gravitational forces, which change the ocean tides on the Earth, are among the factors to be considered. The frequency of UTC leap seconds is not predictable. They are irregularly spaced. However, the International Earth Rotation and Reference System service (IERS) uses to announced the addition of an extra second six months in advance. The addition of a leap second is rare, but consecutive years with leap seconds are even more unique. Nonetheless, there are years when extra seconds need to be added consecutively. For example, leap seconds were added every year from 1992 to 1995. As well, there are rather extended periods of time where no adjustment is needed, for example, from 1999 to 2005. Since 1972, 26 leap seconds have been added, and 31 December 2016 will become the twenty-seventh leap second. 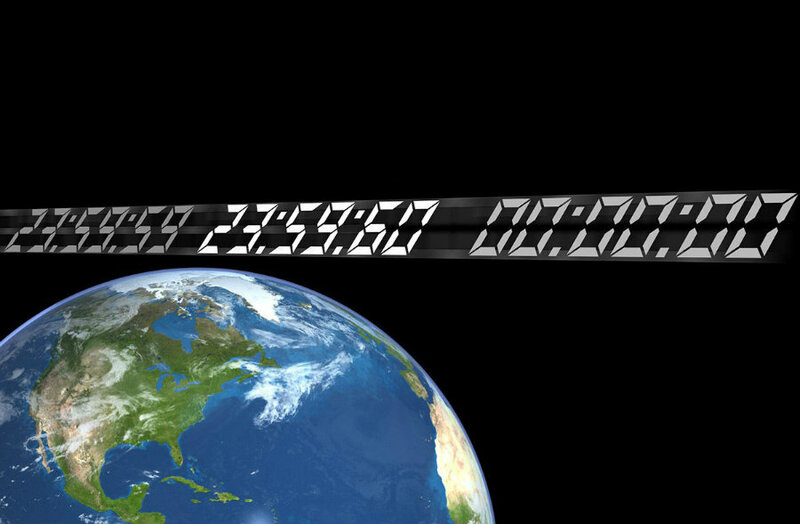 The last time a leap second happened was on 30 June 2015 at 23:59:60 UTC, and before that it happened on June 2012. Countries using the Coordinated Universal Time, including, Britain, Ireland and Iceland and some West African states will add this second exactly during midnight, in the following sequence: 2016 December 31 23h 59m 59s, 2016 December 31 23h 59m 60s, 2017 January 1st, 2017, 0h 0m 0s. However, for others timing will depend on the time zone they live in. Earth Rotation and Reference Systems Service (IERS) will be responsible for synchronizing the international clocks. This process may create problems for data logging applications and telecommunications. Therefore 2016 needs to be adjusted to match the Earth’s rotation movement. But as well, 2016 was also a leap year, to synchronize our calendar with the earth movement around the sun.